Ian Rapoport of the NFL Network is reporting that the Dallas Cowboys and Offensive Coordinator Scott Linehan have mutually agreed to part ways following a tumultuous season that saw the Dallas Cowboys offense finish outside the top 12 three out of his four seasons in Dallas. Sources: The #Cowboys are firing OC Scott Linehan. Taking their offense in a new direction. An announcement is coming. 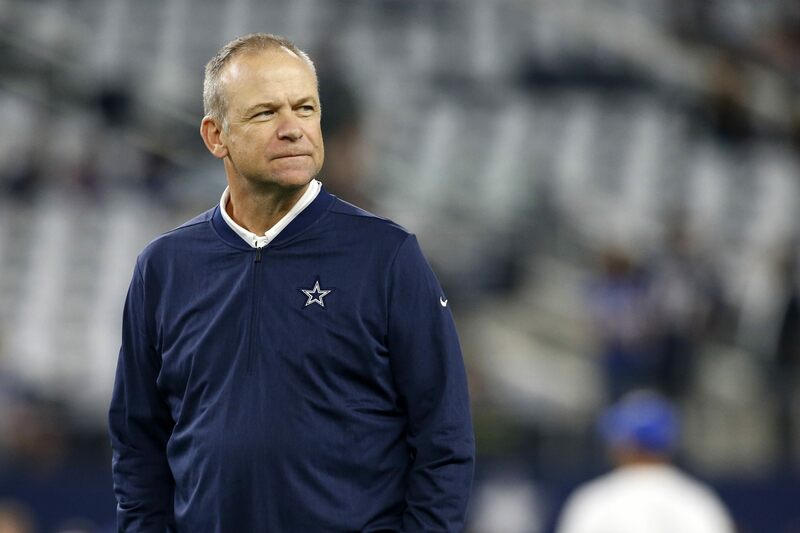 Scott Linehan was brought in prior to the 2015 season and saw his offenses finish 31st, fifth, 14th, and 22nd in his four years as the Cowboys play caller. The 2015 season can be excused as the Cowboys rolled out Kellen Moore, Matt Cassell, and Brandon Weeden for 13 starts after Tony Romo was injured twice during the season, but the team 2-11 in those 13 starts and the Cowboys failed to make the playoffs despite a strong performance on the defensive side of the football. The Cowboys saw an offense that finished fifth in the NFL in points in 2016 decline each of the last two offseasons and Linehan has been continually criticized by analysts, fans, and players as well. Many believe that the reason that Dez Bryant and Brice Butler weren't brought back in the offseason was because of the public criticism of the offense and the play caller instilling the offense and that criticism has carried over to this season when Dak Prescott and Amari Cooper acknowledged that the Philadelphia Eagles were sitting on the slant routes that they had run all game. Dak mentioned that he changed Amari's route to a go route, which led to a 75 yard touchdown that helped open up the offense. Cole Beasley has been frustrated with his role for much of the season and deservedly so. He was often non-existent in the offensive game plan until the final five minutes of football games. In the running game, the offense had become too predictable and reliant upon jumbo formations that led to Ezekiel Elliott having to run against eight in the box anywhere from 25-30% of the time. For perspective, Todd Gurley only ran against eight-man fronts around eight percent of the time. Scott Linehan never looked to attempt to take players out of the box, instead insisting on motioning more players into the box for the offensive line and Ezekiel Elliott to run against. It's amazing when you think about it, that Ezekiel Elliott was able to win the rushing title when facing loaded fronts as often as he did. This was a move that needed to happen and the Dallas Cowboys didn't need to waste anymore time to make it happen. The offense had become stale and frustrating for the players as well as the fans. While Jason Garrett started the offseason saying he "didn't expect any changes," this was a move that absolutely had to happen for the offense to take a step forward. Below, you can read Jason Garrett's announcement on the move. Even after the move for Amari Cooper, the offense looked better, but it still struggled at times to move the football. The Cowboys have a young team with especially young players on the offensive side of the football. They have a quarterback who can throw from the pocket, but has excellent movement skills and capabilities of throwing the ball on the run. He's an excellent runner on designed runs. Despite us knowing all that, Scott Linehan looked reluctant to use him on designed quarterback runs that weren't read options or speed options. What you saw on designed runs in the Seattle game is what this team should be doing five times a game. Now the question becomes, who should the Cowboys next offensive coordinator be? Our own, Staff Writer Brian Martin, laid out 5 Options to be the Next Offensive Coordinator earlier this week. I suggest you give it a read.